Saks Fifth Avenue’s 2016 holiday display theme is “The Nutcracker Sweet”. 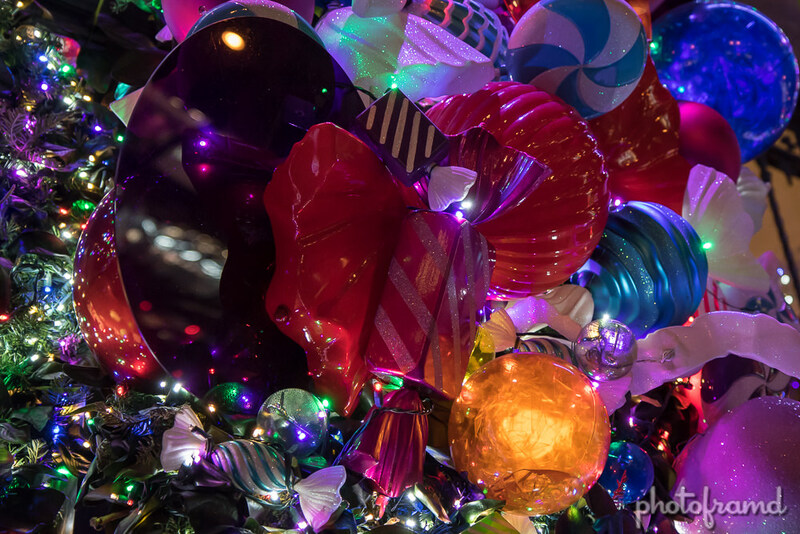 The windows on Fifth Avenue are filled with brightly colored candies and treats. But, the big draw is the lightshow on the building’s facade. 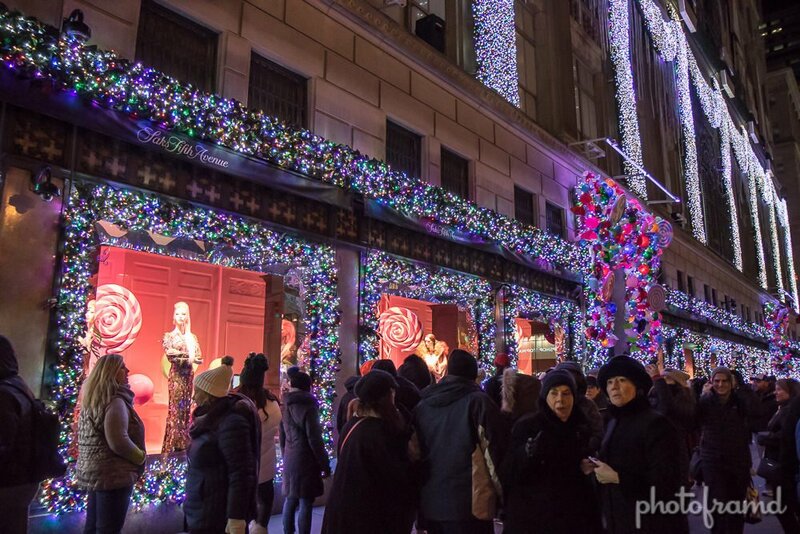 Synchronized to Carol of the Bells, the Light Show plays every 10 minutes from 4:35PM – 11:35PM and is visible on Fifth Ave from W 50th St to W 52nd St.
Saks Fifth Avenue is located on Fifth Avenue between E 49th St and E 50th St. The Light Show is on the exterior of the Saks building facing West. The congestion in this area is very high due to the crowd for the Light Show and the Tree at Rockefeller Center. All photos taken with Canon 7D Mark II and Canon 17-55mm EF-S lens.